The recent reports that Elon Musk told his employees that the $35,000 Model 3 would cost $38,000 to build made me realize some things: first, -$3,000 is a pretty crappy profit margin, and second, Tesla needs some friends. Specifically, they need some friends who build lots of good cars yet have no clear plans to build electric cars in the future. They need friends like Subaru and Mazda. Body production currently appears to be our limiting factor, so it needs the most support right now. Body production. That’s not easy, but it’s actually not the worst problem for Tesla to have, because they’re in a unique position in the industry when it comes to how their cars are built: unlike most unibody cars, Tesla packs its drivetrain, batteries, and most crucial components into a separate, skateboard-like chassis. I’ve long thought that Tesla should just sell their chassis to coachbuilders to put all sorts of bodies on them, and while I still think there’s merit to that idea, the scales would be too small to make that really be a game-changer for the company. That’s why they need to leverage the relative portability of their technology and partner with an automaker that as yet has no clearly defined future plans for electric vehicles, yet who are large enough to be a major automaker. I can think of two companies that would fit that description quite well at the moment: Subaru and Mazda. Both companies have strong and loyal customer bases, both have technical areas of expertise, and, while definitely among the smaller of the major manufacturers, have the resources, knowledge, and ability to build cars profitably in quantity. I think Tesla’s best bet for the near future is to stop banging their collective heads against the wall trying to make a cheap enough Model 3, and partner with either Subaru or Mazda. Tesla would sell Model 3 chassis and associated software and hardware to their partner company, who would engineer and design bodies (and all the associated interior parts, etc) for the Tesla-powered chassis. 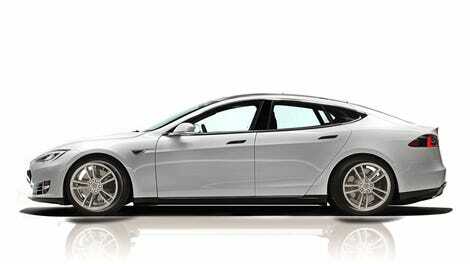 There could be whole lines of Tesla-powered cars. Subaru could have a Tesla-Outback and Mazda a Tesla Mazda 3—anything that was roughly the same wheelbase as the Model 3 chassis. There could be multiple bodies and types of cars made for the Tesla skateboard chassis, and they could be built by companies with plenty of experience. The partnership would include branding that emphasizes the Tesla drivetrain and technology, so the cachet of owning a Tesla could help sales and the perceived status of these cars, while remaining more affordable than what Tesla sells on their own. 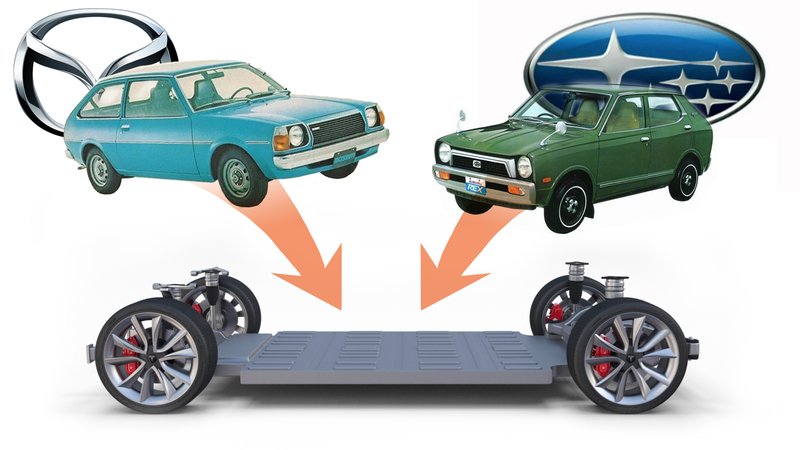 Mazda or Subaru would get a technological path to the increasingly EV future and not be left behind, and Tesla would get access to the lower end of the market in volumes they could never hope to achieve on their own. Sure, Toyota has a stake in Subaru and may not want this plan to happen, but Mazda has no such entanglements. Subaru has proven their ability to partner with other automakers, though, through cars like the BRZ/Toyota 86. While I don’t really think this will happen, for a lot of reasons, not the least of which may be Elon Musk’s own sense of pride, I do think a Tesla-Mazda or a Subaru-Tesla would be the sorts of cars that people might actually buy, especially people who currently can’t afford even the cheapest Model 3s currently available. While I do like Tesla’s styling, it’s their fundamentally well-engineered take on the electric car drivetrain and associated software that’s important. If another carmaker can package that into well-built cars in quantity, why not take advantage of that. Tesla could be focused on being what powers cars instead of the cars themselves, in the same way Microsoft got so huge by selling what powered PCs, as opposed to the PC itself. For higher-end, lower-quantity cars, sure, Tesla can keep making those on their own. But for the mass market, why should they keep torturing themselves alone? Reach out and find some friends, Elon. Maybe I’ll have a barbecue and invite Elon, Subaru, and Mazda. I’ll put out plenty of beer and just see what happens. You can come, too!